It’s one of the trendiest ways to use marijuana, but just what is dabbing, and how do you make dabs? Let’s find out. Cannabis has been around for a very, very long time. And in that time, the most innovative and curious among us have found new and interesting ways of using it. From the tried-and-tested method of smoking to topical treatments and edible treats, boundaries have been pushed and experiments undertaken. With that in mind, let’s take a look at a new and trendy means of consuming cannabis: dabbing. Dabbing is the practice of using a small dab of potent and concentrated resin that is extracted from marijuana. It’s often smoked or vaporized, and it can also be ingested. The effects are typically stronger and longer lasting when compared to other forms of cannabis use. Many dabs are made with high concentrations of THC, making them more attractive to recreational marijuana users. When smoked, less is inhaled, while still producing a prolonged and intense high. You may have already come across dabbing without realizing it, as it’s referred to by a multitude of names, including: wax oil, hash oil, honey oil, shatter, and simply wax. In this guide, we’ll clear up the differences and explain how to make and use your own dabs. As we mentioned above, there are a number of different names attached to the practice of dabbing, with a range of dabs available to purchase or make at home. Each type has its own unique set of properties, advantages, and disadvantages. Referring to a number of glass-like concentrates, it’s easy to see how shatter got its name. Although all types of shatter are breakable, some are sticky to the touch, while others can be smooth. Shatter is very popular thanks to its reputation for purity and quality. To store shatter, carefully wrap it in parchment paper. With the driest consistency of all the concentrates on this list, crumble certainly suits its name. (Are you sensing a theme?) And this consistency makes it a little easier to both handle and use when compared to other dabs. When storing crumble, opt for a glass or silicone container with a lid. Given that it boasts a consistency similar to that of peanut butter, budder is remarkably simple to use and also a terrific pun. It’s made by whipping resin or heating shatter into a smooth substance. Budder can be stored in a sealed container or wrapped in parchment. Unsurprisingly, wax dabs are sticky and should only be handled with a clean dab tool. If you don’t heed this warning and try to use the wax with your hands, you will end up with a sticky mess. Although shatter is typically considered to be the purest dab around, the sappier wax can contain high levels of THC or CBD. As with budder, you can store wax in both a sealed container or parchment. With many different methods of extraction, some concentrates are available as oils, as opposed to a solid form. 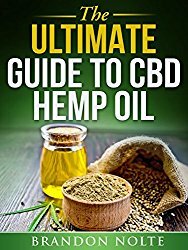 These oils are typically available in a syringe for simple and practical application, and they generally taste differently due to the way the oil has been extracted. Oil dabs should be stored in a syringe or a sealed silicone container. Resin is essentially the sticky trichomes (1) found on the flowers and leaves of mature female marijuana plants. Also known as ‘sap’, resin is made by drying out and curing the trichomes. It’s a naturally formed substance, used as a means of defense from predators that might eat the plant before it reproduces. Resin can be stored in parchment or a sealed container. Requiring a laboratory and trained technicians, live resin isn’t something you can produce in your kitchen. 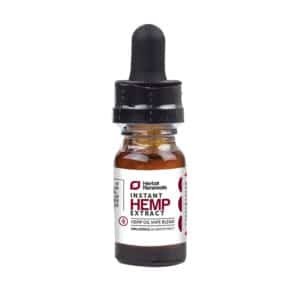 A relatively new type of concentrate, it involves a long and complicated process of cryogenically freezing freshly harvested cannabis plants. Live resin is preferred by those seeking the potential medicinal benefits of marijuana. However, thanks to the technical production process, it’s typically more expensive than the others on this list. Produced by drying and curing cannabis flowers, before using pressure and heat to release resin packed with THC, rosin is a safe and easy-to-produce concentrate. Unlike live resin, you can make rosin in your kitchen, as it doesn’t require solvents and is cheap to produce. Wax will generally degrade at a much faster rate than shatter. Wax tends to be more potent than shatter. Shatter is often purer than wax, but it’s harder to produce. Shatter is very brittle and difficult to accurately measure. Making dabs can range from easy to incredibly complicated. 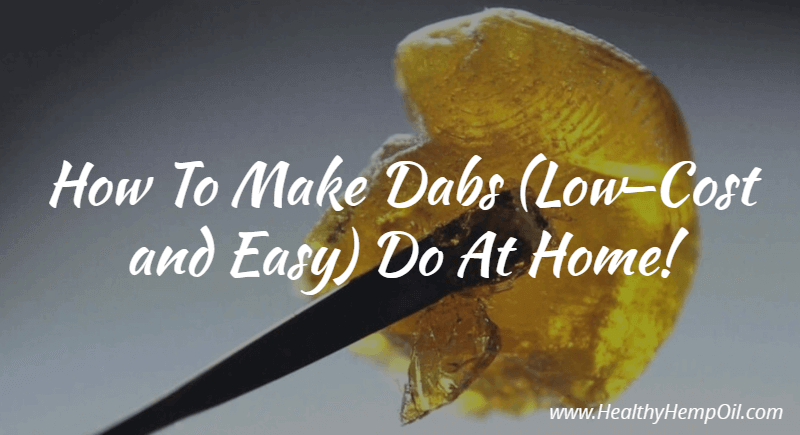 For beginners, it’s recommended that you purchase ready-made dabs before attempting any DIY methods. Identical to shatter in many ways, rosin differs in one key area; it does not need nor contain a solvent. This results in a better taste while also being better for you. And the fact that it’s solventless means it’s nowhere near as risky to produce as other methods. First, turn on the hair straightener to a low or medium setting. If you can control the temperature on your device, aim for somewhere between 250 to 300°F. Leave it to heat up, and start on step 2. Next, place the cannabis onto the parchment paper. The amount you use should not exceed the width of the straightener, as you’ll be pressing the weed to extract the dabs via heat. Make sure that you’ve left enough paper on either side of the cannabis to collect the rosin. Now, fold the paper in half so that the parchment covers the weed. Place the straightener so that it lines up over the weed that’s under the paper. Squeeze down until you hear a slight sizzle. After around 5 seconds, carefully set the paper down and place your straightener to the side. You’re now ready to collect the rosin. Slowly open the parchment and behold. Next to the squashed weed, you should see some yellow rosin. Using your dabber, collect the rosin and dispense it into a container. Typically, you’ll then be able to repeat steps 1-4 and squeeze a little more out of the weed. Simply refold, press, and extract two or three more times. Take care not to char the cannabis. Trial and error is your best bet as you perfect your technique. Making shatter from scratch is a complicated and hazardous task. We recommend purchasing it from a dispensary to save you from potentially blowing your house up (2). That being said, if you’re experienced with chemistry and exercise caution, homemade shatter can be produced relatively safely. Before you undertake the following steps, ensure the marijuana has been dried and ground. First, fill the extraction tube with the ground marijuana. Gently pack it in tight, trying to avoid pockets of air. However, avoid making it too compact, as you want the solvent to saturate all of the way through. Next, saturate the marijuana with butane. Begin by slowly dripping the butane through the narrow end of the extraction tube and, on the opposite end, attach the coffee filters so that the liquid will run through and collect in the ovenproof dish. Note: It’s always recommended that you undertake the extraction process outdoors, as there’s less of a risk of an explosion. Once the butane canister is empty and the weed is completely saturated, leave the tube to allow the remaining solvent to filter through and gather in the dish. Now you’re ready to evaporate the butane. Take your dish and place it in a large shallow pan filled with water. Put this pan on the range and watch as the hot water heats the ovenproof dish, which in turn heats the mixture. The oil will begin to bubble, but take care not to expose it to the heat for longer than necessary as the mixture can darken and degrade. Once the oil stops bubbling, you’re all but finished. When cool enough, use the razor blade to scrape the sticky concentrate from the bottom of the dish, and place it on the parchment paper to cool and solidify further. 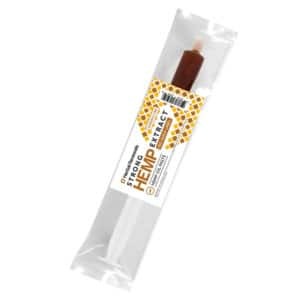 A highly concentrated extract, hash oil is popular with medicinal cannabis users. Like shatter, it’s tricky to produce at home, and safety is paramount. 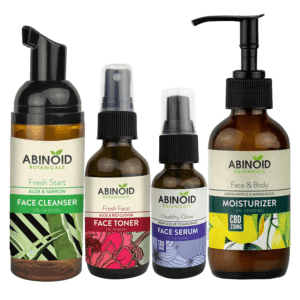 Before you get started, make sure your workspace is clean and clear. This is a hazardous process and extra caution should be taken throughout. If extracting indoors, make sure to open windows and use an extractor fan if you have access to one. However, it’s highly recommended that you undertake the extraction process outdoors, due to the risk of explosion. Finally, make sure you wear safety glasses or goggles to protect your eyes. First, add the marijuana to your glass mixing bowl, then add enough alcohol to cover it. Next, continuously stir the cannabis with a wooden spoon for a few minutes. This helps mix the cannabinoids with the alcohol. Once suitably mixed, strain the plant material by placing the cheesecloth over your collection container and pouring the mixture over it. Gather the cloth and give it a squeeze to get every last drop of liquid. Repeat the above steps for the second soak, which ensures that you’re getting the most cannabinoids from the cannabis. Now that you’re left with a dark green mixture (a mix of alcohol and resin), you’re ready to burn off the solvent. This separates the resin from the alcohol. The heat will produce fumes, so it’s important that you are either outside or in a well-ventilated working environment. Next, take the mixture you’ve extracted and fill your rice cooker to around three quarters full, before turning it on and leaving the lid open. You can always add more liquid as the levels drop. Gently place a clean cheesecloth over the top of the rice cooker to keep dust or other contaminants from landing in the oil. Take care to ensure that the cloth does not touch the oil. Heat the liquid on high to boil off the solvent. Do not leave the rice cooker unattended during this stage. Using oven mitts, remove the pot from the rice cooker when the oil thickens and turns a dark green color. Carefully stir the mixture with a spatula. When the bubbling begins to slow, you’re ready to remove the oil from the pot and onto the parchment paper to cool. Finally, when the oil has cooled, use the oral syringes to collect the oil for accurate dosing. This is also the best way to store the oil – handy if you need to use some on short notice. There are a number of options when it comes to using cannabis dabs. You can either choose to smoke them using something called an ‘oil rig’, or you can forgo the specialist pipe in favor of a more traditional method. An oil rig – sometimes simply shortened to ‘rig’ – is the most popular way to dab. Similar in appearance to a bong, it’s a small, glass pipe with a vertical chamber, a mouthpiece, and a small nail made from glass or titanium. To use a rig, you first fill it with water. Then you heat the glass nail until it’s red hot, before applying your chosen concentrate to the nail by using a dabber (a glass, metal, or ceramic tool used to apply a dab). This transforms the concentrate into smoke, which is then inhaled. If using a bowl to smoke your selected concentrate, first pack it half full with cannabis. Next, drop the dab onto the weed, before packing the rest of the bowl. This prevents the dab from coming into contact with the flame, therefore degrading it. You can also roll a joint as you would normally, taking care to fully enclose the dab within the weed. You should also ensure the concentrate is kept from the end that you plan on lighting, so as to limit its exposure to the flame. With the right model, you’ll be able to vape your chosen concentrate using a vape pen. You’ll need to access the atomizer (the heating element), so make sure you have a pen with a separate atomizer. Using a metal dabber, collect a small dab of concentrate. Dab it onto the unheated coil of the atomizer, taking care not to touch it with the dabber. Switch on the battery chamber of your vape pen, then connect the atomizer. Next, attach the mouthpiece, press the button, and hold. Finally, put your lips to the mouthpiece and slowly inhale. Owing to its potency, the highs from dabs can be very intense. It’s therefore wise to pace yourself and only use small amounts at a time. Solvent extraction is very dangerous. If you’re not an experienced chemist, it’s probably best to purchase ready-made concentrates or to use the rosin method. Solvents can be harmful to the throat and lungs. 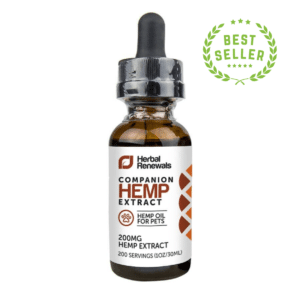 The strength of the concentrates has made them very popular with medical users as an effective painkiller. Recreational users report a stronger, more prolonged high. You don’t need a large amount. A small dab of concentrate can potentially treat aches and pains over a longer period of time when compared to other methods. Are You Ready to Dab? Dabbing is an interesting, effective, and exciting way of consuming cannabis. With the variety available – and the safe and simple rosin method of extraction – you’re sure to find a dab that you enjoy and one that ensures you receive all the potential benefit of cannabis in an easy-to-use concentrate. Have you tried dabbing? Leave a comment below and share your best dabbing advice with our readers. How do you consume dabs? Dabbing is remarkably simple with the right tools. Using a glass pipe called an oil rig or dab rig, you first heat the glass nail until it’s red hot, before using a glass, metal, or ceramic tool called a dabber to place a small amount of concentrate onto the hot nail, and then inhale. At what temperature do you press rosin? Press rosin at around 250°F-300°F for a more flavorful material. However, this results in a lower yield. If you’re prepared to overlook taste in favor of producing more material, you can choose to press at a temperature between 300°F and 335°F. Initially a method used to create a product to lubricate violin bows, in the context of cannabis, rosin is a versatile and easy-to-make concentrate. The resulting product is similar to shatter but with a better taste due to the solventless extraction method. What does a rosin press do? Answer. It presses cannabis and, by using heat, extracts the cannabinoid-rich resin. An ordinary hair straightener or flat iron can be used to create rosin. Rosin can retail for more than $60 per gram, and concentrates in general can range anywhere between $30 and $90 per gram. Rosin hash is a simple-to-make cannabis concentrate that can be obtained by separating the resin from the plant matter via heat and pressure.